Allison is a graduate of Fordham University in New York City with a degree in communications and creative writing. She spent much of her professional career in public relations in New York and has traveled throughout the world promoting health and fitness resorts. In her work as a writer, Allison has written plays and movie reviews, as well as short fiction, articles and essays on local people, places and history in her adopted home of Columbia County, New York. 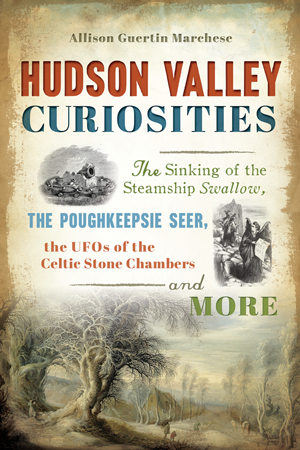 Hudson Valley Curiosities, Allison's second history book, features many of the stories she discovered while researching The Hidden History of Columbia County, NY (Arcadia Publishing, 2014). It contains some of the Hudson Valley's most suspenseful stories and features some of the most famous and infamous people to step foot in the region.